KaKa Foder Protector is a powerful and easy-to-use program for encrypting and protecting your data. You can encrypt any folder including flash disk and removable hard disk. Strong Encryption Algorithm: Using the Original encryption technology that can effectively protect your data. 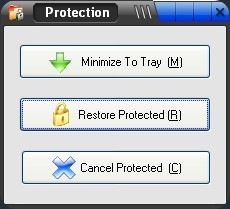 Encrypted folders are characterized by protection against copy, deletion or real size check.